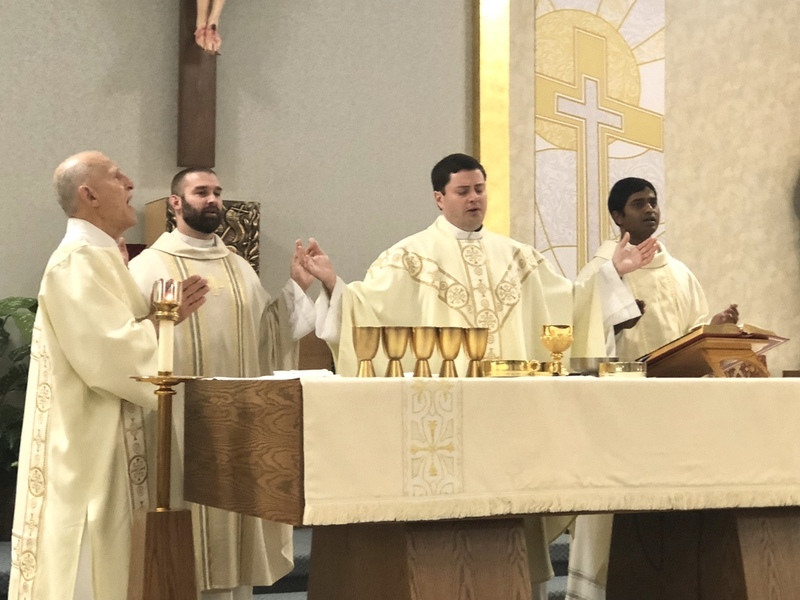 Deacon Richard Papini, Father Jeff Hebert, Father Tony Robbins, and Father Chandra Kodavatikanti were all on the altar for the first All-School Mass of the 2018-2019 academic year. It was also a Holy Day of Obligation for the Assumption of Mary. It was a special occasion for other reasons as well. Our teachers took part in a recommitment ceremony, there was an exposition of the Blessed Sacrament, and time was set aside for our priests to hear confessions. Father Tony said these last two elements of today's All-School Mass are going to be offered regularly.